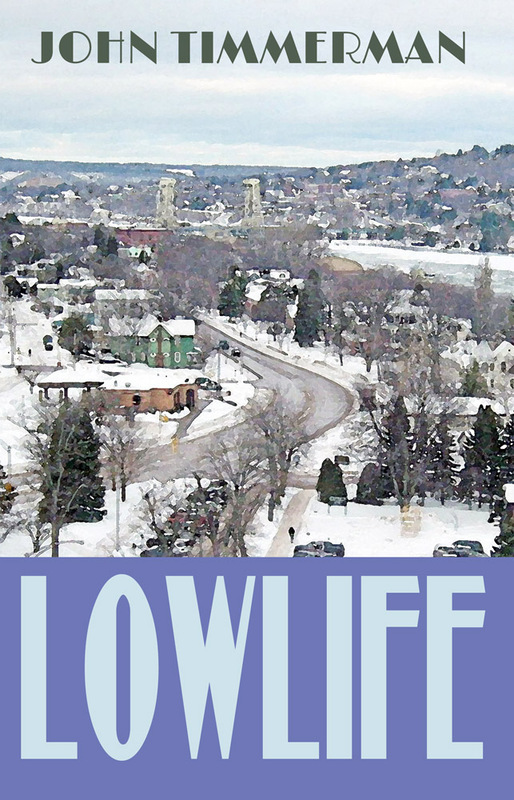 MARQUETTE, Mich. — Sunbury Press has released John Timmerman’s contemporary crime thriller “Lowlife” set in Michigan’s upper peninsula. Having recovered from wounds received in Afghanistan, Joe Little Deer returns to the pristine woods of Michigan’s Upper Peninsula. His aims are simple—to live at peace and work at the timber business he inherited from his father. Peace is short-lived when FBI Agent Mary Shannon enlists his aid against highly complex criminal enterprise in the north woods. Agent Shannon is from Chicago, and she seeks Joe’s help based only on his heroic military record as a sniper. In fact, when she first meets him she is disappointed. A tad under six feet, long hair as black as crow feathers, wearing a battered leather jacket, Joe Little Deer seems like just one more north woods lowlife, hardly up to the challenges Mary Shannon foresees. He’d surely never make the FBI. Surrounded by an oddball cast of characters, Shannon and Little Deer discover the heart of evil, and try to eradicate it. John Timmerman is a Vietnam veteran, decorated with the Bronze Star medal. His jobs have included college teaching, house painting, and work as a Teamster. He has previously published four fantasy novels and over 20 books of nonfiction. From his home in Michigan, he is currently working on a second Joe Little Deer and Mary Shannon book. Controversies in Criminology and Criminal Justice discusses the issue of plea bargaining, the use of psychics in crime investigations, personalizing firearms, e-mail scams, and terrorism. No single day passes without news reports on firearm-related deaths, terrorist attacks, unsolved murders, internet scams, and plea bargaining. These issues always provoke feelings of anger and utter despair. Here, the author addresses these controversial and sensitive issues in an easy to understand manner without any restraint. Plea bargaining is a process whereby an agreement is made between the prosecutor and the defendant, in which the defendant agrees to plead guilty or no contest, and the prosecutor, in return, agrees to dismiss some of the charges, reduce a charge to a lesser charge, or recommend to the judge to give a particular sentence. Dr. Ebisike argues that the disadvantages of plea bargaining far outweigh the advantages and calls for the abolition of plea bargaining. Should psychics be used in crime investigations? Is there a scientific basis to psychic abilities? Should psychics be allowed to testify in courts? Ebisike argues that psychics should be used in crime investigations, but should not be allowed to testify in court, because their method lacks adequate foundation as to be introduced into the courtroom as evidence at the moment. Examples of cases where psychics assisted in crime investigations have been discussed. Personalizing firearms involves designing firearms with personalized identification technology so that only the authorized user(s) can fire the gun. After a critical examination of the different ways of personalizing firearms, Ebisike maintains that equipping the trigger of firearms with sensors that can identify the authorized user through fingerprint is the best option. Taking a costs-benefits approach, the author also argues that the benefits of personalizing firearms far outweigh the costs. Billions of dollars have been scammed out of many people throughout the world through e-mail scams. This raises several questions. Who falls for these scams? Are some victims to be blamed? What can be done to stop these scams? After outlining the warning signs of 419 e-mail scams, the author maintains that most of the victims are to be blamed and calls for the prosecution of some of these victims. Ebisike supports the idea of using digital identity cards. Terrorist attacks are like earthquakes. We do not know when they will happen, but what we do know is that they are likely to happen. Therefore, we have to prepare for them. Is there a link between past criminality and terrorist potential? This question has been addressed. After discussing the various ways through which terrorist groups end, the author states that Al-Qaeda seeks unobtainable goals and will eventually disintegrate. 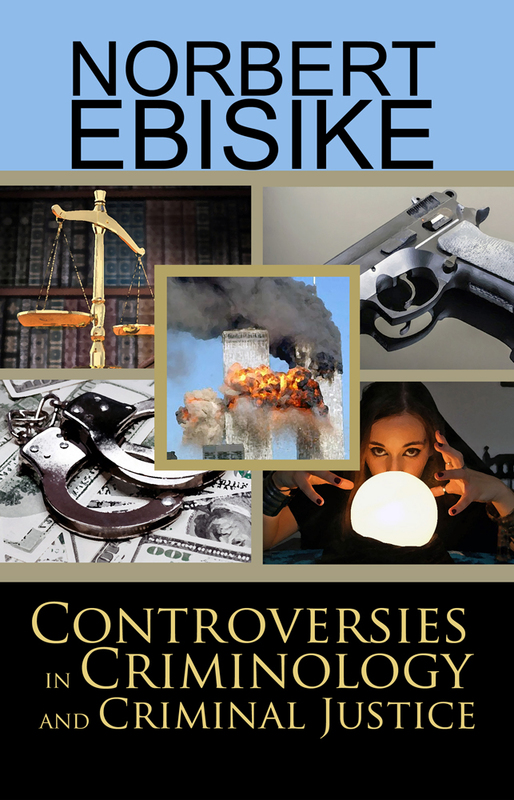 NORBERT EBISIKE, SJD., is a criminologist and legal scholar. Dr. Ebisike is a graduate of the University of Pennsylvania, Golden Gate University, the University of Kent, Canterbury, and the University of Westminster, London. His publications include Offender Profiling in the Courtroom: The Use and Abuse of Expert Witness Testimony, Praeger (2008); An Appraisal of Forensic Science Evidence in Criminal Proceedings, Greenway Press (2001); The Investigative and Evidential Uses of Cheiloscopy (Lip Prints), Criminal Law Bulletin (2011); and The Evidence of Children, Criminal Law Bulletin (2008). His current research interests include forensic science evidence, neurocriminology, children and the law, offender profiling, terrorism, and socio-legal studies. 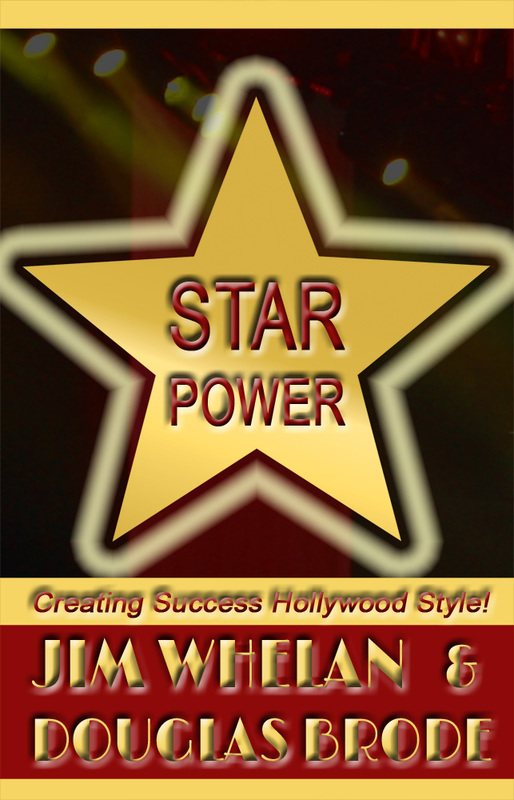 Whelan and Brode introduce the “SDP Model” (Scripting, Directing, Performing) to help you be more successful in your life. As a corporate leadership development and training professional for the past twenty years, Jim Whelan has created and delivered many powerful programs to help attendees at all levels reach peak performance. Inspiring frontline team members and leaders alike, Jim is also a dynamic retreat leader and keynote speaker focused on personal and team performance in the areas of: Leadership, Strategic Planning, Customer Service, Coaching, Selling, Whole-Mind thinking, Team Problem solving and, of course, Star Power at Work! Learn more at www.starpowerbook.com. Douglas Brode is a novelist, graphic novelist, screenwriter, playwright, film historian and multi-award-winning journalist. He teaches at Syracuse University’s Newhouse School of Public Communications, Department of Television-Film-Digital Media, during the fall semesters and at the University of Texas, San Antonio, Department of Philosophy and Classics in the winter and spring. He has written for popular publications as varied as ROLLING STONE and TV GUIDE and academic journals including CINEASTE and TELEVISION QUARTERLY. Among his most recent books are ROD SERLING AND THE TWILIGHT ZONE (Barricade), DREAM WEST: POLITICS AND RELIGION IN COWBOY MOVIES (University of Texas Press, Austin), DRACULA’S DAUGHTERS: THE FEMALE VAMPIRE ON FILM (Scarecrow), and “PATSY!” THE LIFE AND TIMES OF LEE HARVEY OSWALD (Sunbury). Wubbies spotted singing in hair salons! 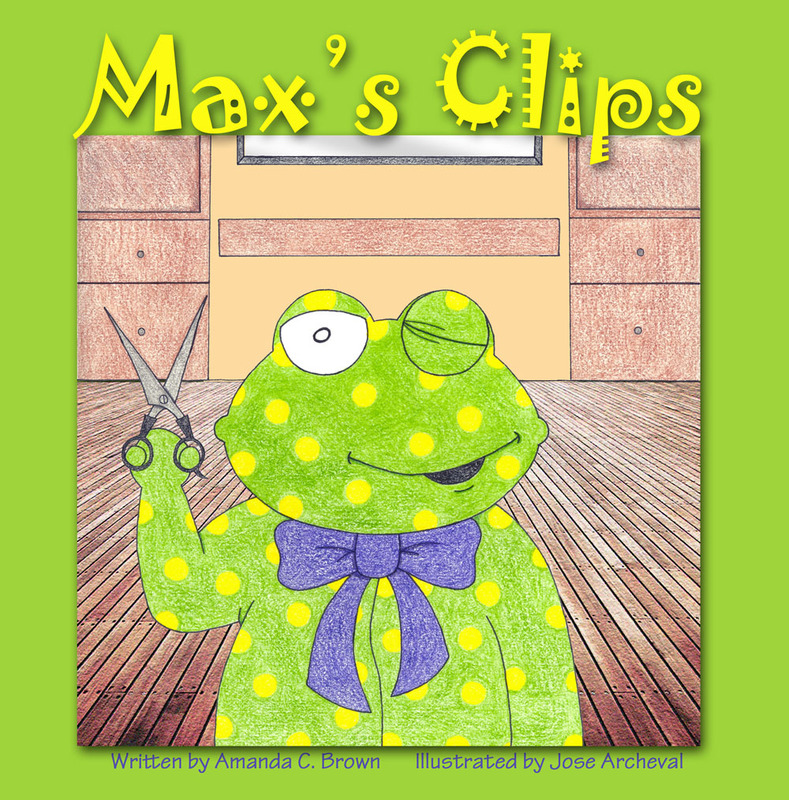 MECHANICSBURG, Pa. — Speckled Egg Press, the young childrens imprint for Sunbury Press, has releasedMax’s Clips, a bedtime story for pre-K children featuring the lovable wubbies – colorful stuffed animal-like characters that bring joy to young children. Do you remember your first hair cut? If you had a friend like Willie, you’d remember the courage that you felt during your first experience of getting your hair cut. In this story of bravery, Max learns that he can do more than Max thought—only with the encouragement that he feels from his friend Willie the wubbie. Amanda C. Brown is a third grade teacher in central Pennsylvania where she lives with her husband, Matt, and her sons, Sammy and Maxon. Although her journey with the wubbies began more than four years ago, when Sammy was born, she’s excited to continue sharing more amazing adventures with the wubbies and their friends to readers all around the world. Amanda and her wubbies will make you smile as you imagine the amazing things that the wubbies can do! Jose Archeval is a United States army veteran who truly enjoys drawing. He lives in central Pennsylvania with his loving girlfriend Donna. Jose has enjoyed drawing cartoons and taking art classes to pursue his love of illustrating. Although this book is only Jose’s second experience in illustrating a children’s book, Jose has truly enjoyed the journey and looks forward to illustrating many more adventures of wubbies and their stories in the future. 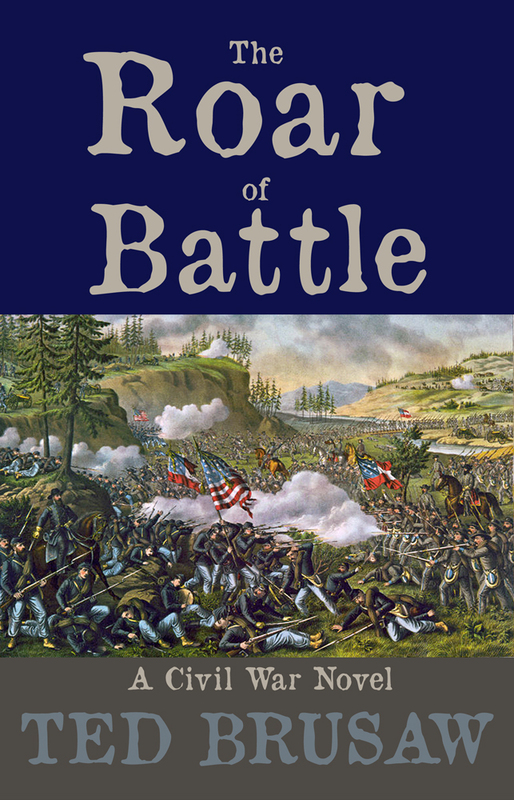 MECHANICSBURG, Pa. — Sunbury Press has released Ted Brusaw’s Civil War novel “The Roar of Battle,” a literary panorama of the Civil War as seen from the eyes of characters on both sides of the conflict. This book tells the story of the daily lives of men on the front lines during the Civil War and the effects of the war on them and their families. It is about how each man fought his own demons from battle to never-ending battle and coped with reality of war. And it is about the lasting effects of the war on the men who survived it. In short, it tells the story of the America of that period. The main characters are men from different states and backgrounds, each bringing distinctive personalities and allegiances to the struggle. 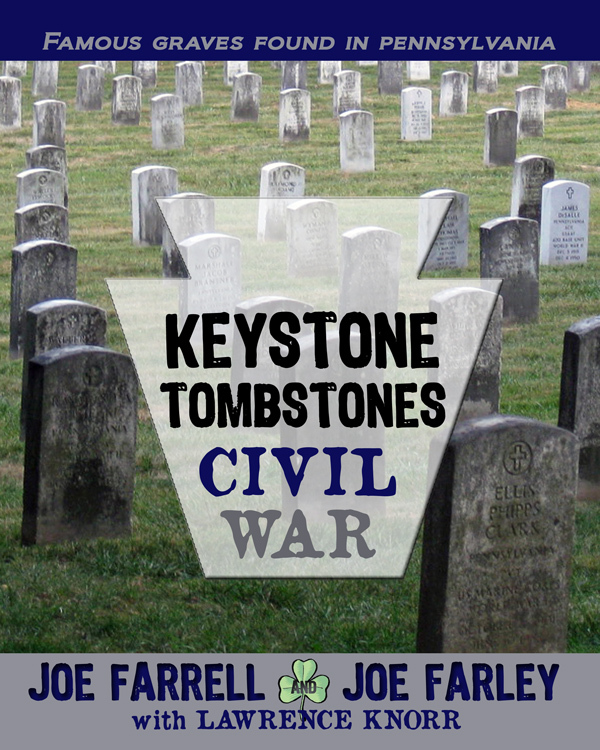 The story covers the entire war, from Bull Run to Appomattox Court House. Ted Brusaw has earned his living as a writer since college, working in advertising, public relations, technical writing, and writing college textbooks on these subjects. He is currently at work on a novel of the Lewis and Clark expedition. 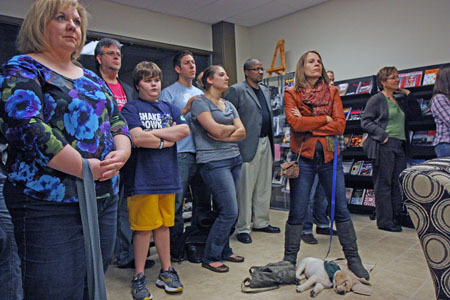 MECHANICSBURG, Pa. — Sunbury Press, the book publisher of trade paperbacks and eBooks located at 50 West Main Street, Mechanicsburg (www.sunburypress.com), is celebrating its tenth year in business in 2014. Sunbury’s books feature established and emerging authors in many fiction and nonfiction categories and are sold through leading booksellers worldwide. Sunbury Press has grown rapidly over the years and now publishes, on average, 70 books a year, having over 200 titles and 120 authors under management. their families, the “Keystone Tombstones” series by Joe Farrell and Joe Farley, documenting the lives and graves of famous people buried in Pennsylvania, Mike Campbell’s “Amelia Earhart: The Truth at Last,” revealing the fate of the aviatrix, lost in the South Pacific,” and Ernie Marshall’s “That Night at Surigao,” recording the last engagement between battleships in World War 2. In addition to local, regional and world history, the company publishes historical fiction, action adventure, murder mysteries, horror, literary fiction, children’s, self-help, sports and etc. The Knorrs have decided to up the ante in 2014, converting their office, which had been a showroom and event space, into a full-fledged Sunbury Press bookstore. The new Sunbury Press retail store opens February 1st. Store hours are Tuesday thru Friday 10-5 and Saturday from 9 to 2. Sunbury Press will be offering special deals available only to walk-in customers, such as bargain books and buy-one-get-one free offers. There will also be a limited number of used books not published by Sunbury Press. For more information, please see www.sunburypress.com, or on Facebook athttps://www.facebook.com/pages/Sunbury-Press-Books/143239…. Author Anthony Julian opens a time capsule for us concerning the history of the oft-maligned Pit Bull. Through old photographs and personal anecdotes, Julian paints a history of the breed very different from the contemporary misconceptions flamed by the popular media fear machine. He focuses on the history of the Pit Bull in American society, including acting as sentry over dead Civil War soldiers and co-star on “The Little Rascals.” This book is lavishly illustrated with vintage photographs. 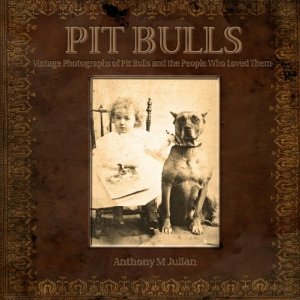 This is the first in a series of books showcasing vintage photographs of people with their beloved pit bulls. 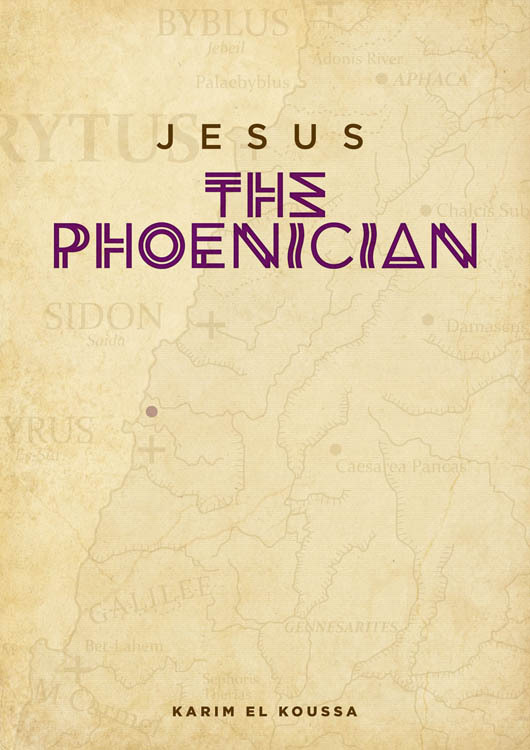 MECHANICSBURG, Pa. — Jesus the Phoenician, Karim El Koussa’s well-researched alternative history regarding the origins of Jesus Christ, ranked #1 due to international export sales. Barbara Matthews and Barbara Trainin Blank took the second spot with their self-help book What to Do About Mama: A Guide to Caring for Aging Family Members, thanks to author activities. Sunbury Press’s sales for 2013 were up 15% over 2012. EBook sales were up only 6% over last year, significantly lagging the growth in print sales. Sales for the 4th quarter were up 1% compared to the same period in 2012. 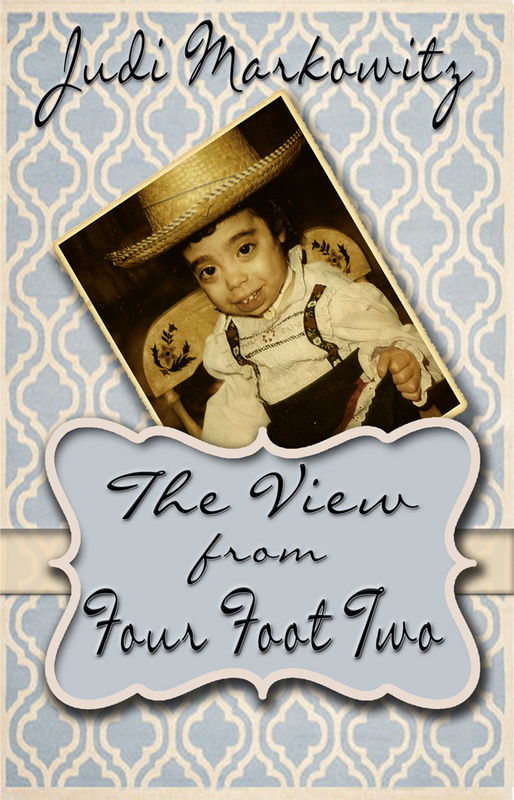 Judi Markowitz’s The View from Four Foot Two, debuted at #3, thanks to strong advance sales, including to Europe. Tony Julian’s Pit Bulls: Vintage Photographs of Pit Bulls and the People Who Loved Them moved up the rankings, taking #4 on the list, due to sales to dog enthusiasts. Madelyn Killion’s At the End of the Day, a novella about a nosy postman, grabbed #5 thanks to author activities. 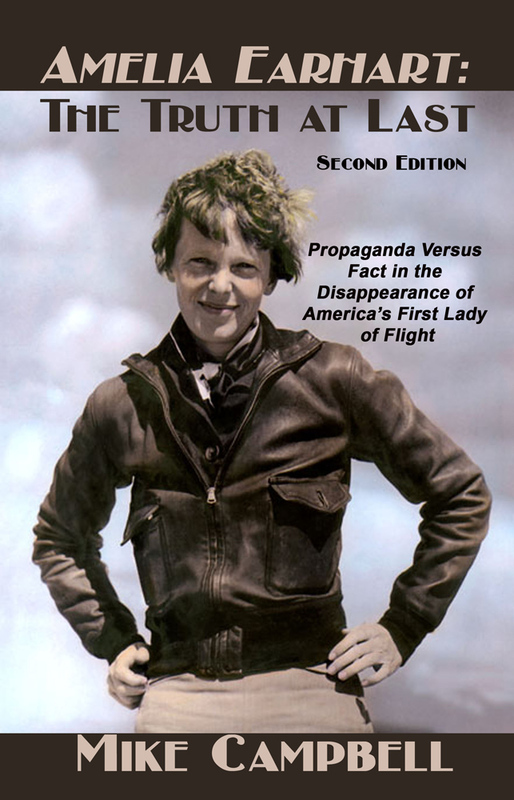 Mike Campbell’s Amelia Earhart – The Truth At Last moved up on the list, taking #6, thanks to bookstore and library sales. John Lindermuth’s Digging Dusky Diamonds, a history of the Coal Region of Pennsylvania, ranked #7 due to sales in the Shamokin area. thanks to author activities and bookstore sales. Dennis Herrick’s Winter of the Metal People returned to the rankings, taking #9 on the list, due to sales in the southwestern US. Alan Mindell’s baseball novel, The Closer, returned to the rankings, notching #10 on the list, due to steady sales on all fronts. A Little Indiscretion by Joseph Tarone, The View from Four Foot Two by Judi Markowitz, Sherlock Holmes and the Crater Lake Adventure by Steve Kious, An American Hiroshima by Don Wulffson,GXM731 by Terry Ray and Stink Bomb by Ricky Bruce.